Topography Tools provide the necessary tools for topographic survey, acquisition, and elaboration of topographic surveys. Topography Tools allow you to place a reference point object in the drawing that has a Z height and name as well as the normal X and Y location. These objects can be imported from or exported to a text file. 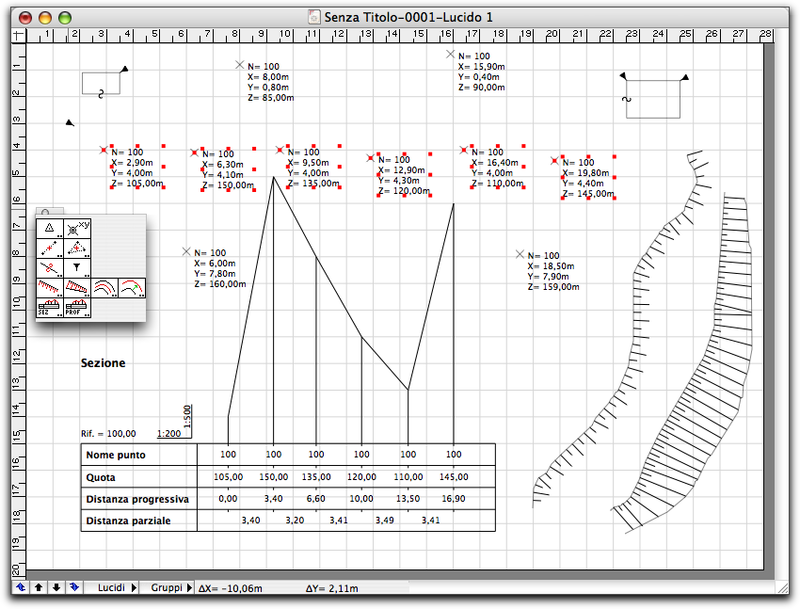 In PowerCADD, you can do a 3D interpolation of the points. It is possible to automatically draw a section of the terrain surface. The locations are in global coordinates, so it is possible to import X, Y, Z points from a text file and put these points over a parametric map. These points can be exported to a text file containing the name and X, Y, Z coordinates of the point. Then you can import these points to another program that can interpret the points and handle the coordinate data. Create new points interpolating in 3D space existing points. Create a middle line between two lines, polygons, or curves. 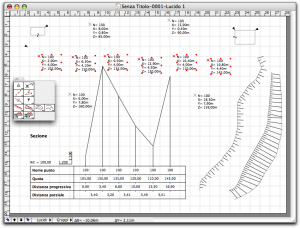 Create a section profile of the terrain. Here is an example of what you can do with Topography Tools.